Michael Milleson is well known in the health policy and health quality for his articulate commentary, sharp wit, and undeviating focus on improving our health care system. His 1996 Book, Demanding Medical Excellence, is a tome that still rings true today. Can you share with us your background? I was one of the first journalists to cover health economics and policy for a general interest newspaper, beginning the feat as a financial reporter for the Chicago Tribune in 1982. In 1986, I received an Alicia Patterson Foundation Fellowship, whereby you go into the field for a year and write on a topic. (Newsweek economics writer Robert Samuelson and Passages author Gail Sheehy were Alicia Patterson Foundation Fellows.) My topic, in the post-DRG era was “The Deregulation of the American Health Care System,” which is what Republicans called their regulations. By being out in the field, I learned the difference between in-the-trenches reality and meeting room reality. My series, “Managing Medicine” in 1987 looked at competition, the dangers and advantages of managed care, measuring and managing quality and “upstairs/downstairs” care of the uninsured. It was nominated for a Pulitzer Prize, one of three for which I was nominated while at the Trib. But the reporting also started moving me into a level of knowledge of health care (and appreciation of areas of gray) beyond journalism. I started covering the meetings of health services researchers, for example. By 1993, after writing a series on quality of care, which had become my main interest, I was ready for something more. I was given a Robert Wood Johnson Investigator Award in Health Policy Research, the only non-MD or PhD to win this competitive award that first year and for many years after. I became a visiting scholar at Northwestern University and wrote Demanding Medical Excellence: Doctors and Accountability in the Information Age, a peer-reviewed, footnoted book written in plain English. I meant to do a journalist’s book; instead, I did a PhD thesis translated back into English about medical errors, medical informatics and informed decision-making, managed care, patient empowerment and value purchasing. It came out in 1997 and was much, much farther ahead of its time than I would have guessed or wished. I was still naïve about the pace of change in health care. I finished the book while working as a principal in the benefits consulting practice of Mercer, because I believed in the power of employers to change the system to work more effectively. I left Mercer in 2001 and have headed my own firm, Health Quality Advisors LLC, while retaining an academic appointment as the Mervin Shalowitz, MD Visiting Scholar at the Kellogg School of Management. I’d describe myself as a consultant, academic and quality of care evangelical. How has health care changed since you wrote your book in 1997? Evidence-based medicine, once a curious important from England, has become so mainstream an idea that it’s inspired its own backlash — even though the actual practice of evidence-based medicine is very far from prevalent. The idea of value purchasing has come back into fashion and managed care has gone completely out of fashion (at least until a new name is invented). But the biggest changes are the end of silence about medical errors and the acceptance of the need for computer technology. The latter, of course, is a little like giving the military credit for accepting the need to replace cavalry horses with tanks by 1941, but at least it’s progress. One more technological change: the Internet was new in 1997. Today, it is giving patients the power to partner with their physicians, generate content and go “off the grid” of the medical establishment in ways that could not have been anticipated then. This grassroots change may end up being the most powerful of all. What’s your diagnosis of the current health care crisis? Well this is a “crisis” that was 40 years in the making. It’s funny because Medicare was created in 1965, took effect in 1966, and the first conference on health care costs being out of control was held in 1967. To be candid, I really don’t see much that has changed since the very beginning of this “system” being implemented. My diagnosis tends to home in on the underlying drivers of behavior - which are mostly economic. Why do physicians behave the way they do? Why do hospitals behave the way they do? What incentives are driving the behaviors that we see that are placing us into this “crisis”? Immediately, we have to point to the payment mechanisms which incent an increased production of health care widgets as a means of increase payment. The infamous “supply induced demand” highlighted by the recent Atul Gawande article in The New Yorker. Therefore, the question is how do we align the financial incentives to enable leadership to get true culture change? We certainly see great regional examples of this in Kaiser Permanente, Intermountain Health Care the Mayo Clinic and the Geisinger Clinic, but these appear to be the exception to an otherswise pervasive lack of these qualities in the general health care industry. What are the specific reform efforts that you believe will yield the greatest results? First and foremost, the physician is at the center of the system. Any doctor can prescribe any drug or perform any surgery. Compared to anyone else, physicians are given enormous autonomy. The way we change health care is aligning financial incentives and changing social norms to encourage the with patient and doctor to eliminate waste. At heart, this means a chance in the doctor-patient social contract. The opportunity with the X PRIZE is to do the simple things and complicated things to achieve this kind of new social contract. So, for example, the problem of unnecessary antibiotic use for children’s ear infections often ran up against the issue of anxious parents demanding a prescription. The solution turned out to be a combination of doctor education and a clever wrinkle in the doctor-patient relationship. Parents were given the prescription, but it was postdated; in other words, they were told that if the infection didn’t go away in a few days, then they should fill the prescription. Result: doctors feel as if they’re providing caring, patients feel cared for and unnecessary drug use — and unnecessary cost — are taken out of the system. Those kinds of ideas, that blend cost reduction and quality improvement with a true patient-physician partnership, are where we need to focus. Having said that, we also need to ensure that doctors are not penalized financially for this paradigm shift. In my book, I wrote about a four-man family practice that reduced unnecessary tests, stopped having patients come to the office when a prescription could be written over the phone and, in a fee-for-service world, gradually went bankrupt. It’s also important to spread the word about successful system-improvement efforts in an attempt to make sure they diffuse far more quickly. Under the leadership of its CEO and its senior medical staff, the Ascension Health hospital group has documented that falls, infections and other preventable causes of medical harm can be slashed to a fraction of their previous levels in just a few years. In the process of systematically doing just that, Ascension has saved more than 2,000 patients’ lives at its hospitals. That kind of achievement needs to receive the same kind of publicity as FDA approval of the latest statin. That won’t be easy. After all, one man’s waste is another man’s profit center, and a pill or device to prevent or cure infections will always be a lot sexier than simply ensuring that everyone who gets close to the patient washes their hands. How does universal access solve or not solve the issues you raise above? Access is a fundamentally different issue that efficiency. Other nations that have universal access to care are no better than we are at consistently providing high-value, evidence-based treatments once someone walks inside the doctor’s office or enters the hospital. Having said that, I don’t think that the question of access to care is a technical problem. As I wrote in an article in the Washington Post Outlook section in June, 2008, to get universal care you first have to care. We’ve had the same stories about the uninsured for decades. The problem is that the American public doesn’t really seem to care that much, perhaps because the uninsured are disproportionately black, Hispanic and poor. And so, we spend hundreds of billions of dollars adding a drug benefit to Medicare, but starting looking into our national pocketbook for spare change when it comes to the cost of covering the uninsured. Texas, for example, has had the highest rate of uninsurance in the nation for years, reaching as high as 33 percent at a few points, and yet that fact did not hurt George W. Bush one bit either in the Republican primary or when running for president in the general election. What are the top areas where you believe innovation can be applied to solve for market failures? There’s a difference between health and healthcare. Health has a lot of environmental, socioeconomic components that are not present in healthcare. Take a look, for example, at the Obamas. Here’s a black family from Chicago’s South Side, where there’s what’s described as an epidemic of obesity. Yet they’re not fat. Why is that? Obviously, it’s not some physical antibody but a combination of education, willpower, genetics and socioeconomics that makes them different. The question for innovative solutions to market failures is hot to properly incent physicians, employers and others to attack problems like obesity in the kind of comprehensive, holistic manner that is far more likely to succeed than a narrow, medicalized approach. Too often today, a doctor says that a patient’s compliance is not his problem because it’s not in his control. However, with markets, we can pay someone enough to make it their problem. We’re going to incent you to get things done rather than give up in advance. At a certain pricepoint you’d stop talking about how unfair it would be to get people to come in and say, how do I sign up? We need to focus, as well, on the financial and social incentives that will enable the innovations that we already know work to diffuse more quickly. We know that giving those who adopt an innovation a very tangible, personal advantage is the key. As the current health care reform debate certainly proves, abstract words like fairness, accessibility, long-term fiscal stability and the like don’t have a great deal of impact on human behavior. Your thoughts on how the PRIZE model can assist in catalyzing these efforts? I like to say that we need to build a system based on “Do the right thing (do what’s appropriate) and then do the right thing right (do what’s needed in the most effective and efficient way)”. I really believe you have to build off the current technical and social platform for health. I realize that it is currently a difficult and unstable foundation from which to build, but I don’t think we have the luxury of completely excavating a new system of care. I see that the X PRIZE model can create a framework from which teams can work to use the current system as a jumping off point for radical change. That’s pretty exciting. Your thoughts on how we can actually pilot the five winning solutions in five markets around the country? There are markets that are used to innovation and those that are not. An incubator for the X PRIZE should be typical of America in terms of demographic, geographic and other challenges but atypical in terms of cooperativeness and openness to change. Two people, whom you might not have considered, but who have informed my thinking include Ian Morrison (a futurist) and Emily Friedman (who focuses on access and public health issues). Both of these individuals have unique insights that might prove valuable to the X PRIZE efforts. Each element is described in a detailed communication from Edmund Haisimaier, a Senior Fellow Research Fellow in the Center for Health Policy Studies at the Heritage Foundation. Before you dismiss this effort as some conservative schtick from the right, you should actually look at what they are doing and how they are doing it. It is actually a fascinating read. Defined Contribution. I also love the notion of a “defined contribution” coming from employers. This is also a no-brainer - let the employees both see how much you are contributing to their health as well as give them the flexibility to make their own choice. These ideas were made popular by Definity Health, and I love seeing this concept move forward. For me, this will be the “death knell” of employer based insurance if this concept takes off - which I see as a very positive outcome. I have already ranted about Employer Based Insurance in the past and the sooner we decouple this unnatural relationship the better off our country will be. Virtual Health Insurance Exchange. Leveraging a technology platform (eInsurance in this case) to bring together all the disparate information to make an apples to apples comparison of various health insurance options. This allows the consumer to make rational choices based on their own preference sensitivity of price, features, benefits, and other metrics. I love that insurers, and the brokers who push their products, will have to do more than convince an HR manager who makes a company wide decision, but rather have to compete consumer by consumer by offering the best value. The technology makes it possible to compare dozens of different plans based on age and family status simultaneously. The agent role turns much more into that of a value added advisor. Risk Adjustment. This is actually much harder to follow. Essentially, Utah is laying the foundation to create a state wide pool with everyone who has insurance being a part of a single pool. On the “front end” when the consumer purchases the insurance there will be some variation in pricing based solely on age and family status. However, on the “back end” the insurer taking the diabetic will actually get a little bit more of the premium. Furthermore, any insurer who has an inordinate amount of large expenses or wide variations in claims will receive additional credits from the other insurers. This innovative wrinkle can actually entice other insurers to participate as these “adjustments” further minimizes the risk that their “pool” performs worse or costs more than others. Essentially, the Utah Health Exchange pools premiums from all the consumers, each insurer provides coverage during the year, and at the end of the year they redistribute a portion of their premiums to any insurer who took an excessive hit during the year. The details of how this will work in practice were not included but the concept is very interesting. This is exactly the type of health financing innovation we need to be seeing. New ways to pay for insurance, new ways to acquire insurance, new ways to spread and pool risk, and new business models that will allow these concepts to flourish. 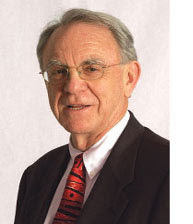 In 1999, Dr. Herbert Pardes was elected President and Chief Executive Officer of NewYork-Presbyterian Hospital. As the former director of the National Institute of Mental Health and Assistant Surgeon General of the U.S. Public Health Service, he was well positioned to assume the top leadership role of one of the largest hospital based systems in the United States. He has also served as Vice President for Health Sciences and Dean of the Faculty of Medicine at Columbia University College of Physicians & Surgeons. Prior to this he was the Director of the Psychiatry Service at Presbyterian Hospital. For over three decades he has played a major role in the affairs of NewYork-Presbyterian Hospital and understands the challenges and opportunities within the current health care reform era. The X PRIZE team caught up with him earlier in the year to get his take on how to improve the health care system. Can you give us your background? My name is Doctor Herbert Pardes. I’m president and CEO of the New York Presbyterian Hospital in New York City. We are one of the largest hospital systems in the world and consist of a complex of institutions in the city as well as in Connecticut, New Jersey, and an affiliate in Texas. We deliver about 20 to 25 percent of the healthcare in the greater New York area which consists of clinical care, health education, and medical research. What challenges do you face in providing care to your patients? We can do so much more in healthcare today than we could just a short 20 to 30 years ago. Those of us who are in healthcare find our greatest pleasure in being able to help people and this has been very satisfying progress. As a result, many more people are living longer and the demand for complex healthcare is very substantial. As a result, the cost of healthcare has become very expensive. So our biggest challenge is how to provide the greatest amount of help to human beings while being sensitive to the cost issues for the nation and the population in general. This is a very difficult balancing act, and we attempt to find the way to extract maximum benefit for the dollars being spent. How has the burden of administering the health care system changed during that same time? I think one of the things that could help a lot would be a reduction in administrative requirements and the excessive oversight. I am not trying to minimize the value of oversight, but I believe it can be done in way to minimize the energy and the effort required to respond to oversight. As an example, in a recent study of nursing care, it was found that when you measure the amount of healthcare a nurse provides at the bedside, that the average nurse spends only 28 percent of their time at the bedside and 72 percent on other work. My feeling is that is imbalanced and should be corrected by taking off some of the unnecessary demands and freeing up the nursing staff to be more available to the patients. In terms of reimbursements issues, what challenges do you face? Well, reimbursement is an enormous problem for people in healthcare. There are a very large number of people in this country who are uninsured; there are a large number who are underinsured. Even people covered by Medicaid and Medicare represent an entire population whose reimbursement does not meet the cost of their care. So a hospital like ours loses money on Medicaid, loses money on Medicare, and in addition provides healthcare for people who are either underinsured or uninsured. While we do receive a modest subsidy from the government to compensate for our care, we lose money on everyone of these patients. We offset these losses by how we charge for our commercial care and in this sense we are a microcosm of the country. Our current payer mix is 30 percent Medicaid, 30 percent Medicare and some 30 percent or so commercial care. The remainder is people who pay for themselves or are uninsured. Reimbursement has been the toughest nut for all of us to crack and remains a very big, unresolved problem in healthcare. What do you think about issues like pay for performance and incentives? I’m in favor of pay for performance and I actually helped to draft the initial principles the joint commission used to create the current pay for performance efforts. I do not, however, favor reducing people’s revenue if they can’t meet the performance because what you’ve often got is an institution that may have limited resources, can’t do the job, and by taking more resources away from them they get into a vicious downward cycle. On the one hand, I think that having goals, setting targets, and having people strive toward better performance for quality, safety, and efficiency are very good. I am for incentives just as I am in favor of competition but we need to be careful that what looks like a good program does not become twisted as a means to artificially cut dollars for health care. What are the greatest challenges we face in terms of the healthcare industry as a whole? Well, first of all, I think that our country needs to once and for all move toward total coverage and total access so everybody can access the benefits of healthcare. That can sound like it’s gonna cost more money, and it probably will cost some more, but it’ll have more total savings associated with it. There are a lot of people who come to emergency rooms after their disease is well along, and as a result they’re suffering more and we are all paying more and our opportunity for success is also diminished. I’d much rather see a system wherein a healthcare professional looks after your general health, pays attention in a preventive way to good health practices, diet, exercise, regular colonoscopies, etc, etc. This style of health care should results in a life of less major illnesses and less time suffering from major illnesses. I believe we could create a much healthier population but its foundation is in universal health care coverage. We should not have the current disparities and inequities between different populations. We should focus on investments that have a clear health benefit, as well as a clear improvement in population health that can work more, contribute more, and produce more. This clearly helps the economic welfare of the country as well as the health interest of the country. Why do you think a prize or competition is a good way to address these issues? I think this country is built on competition, and I like competition. It stimulates people to do more, to try harder, and provides a built in rewards system to people who have done a good job. A prize creates some interesting competitive dynamics as well as the motivation for many people to strive for the prize. I think the catalyzing effect of the X PRIZE model can have a very stimulating effect on driving innovation. I commend the people behind the concept of the X PRIZE and am eager to see how it can be applied to health care. What outcomes do you hope to see from this process? I would like to see more innovation in healthcare. I would like to see particular attention to the interpersonal nature of healthcare, and a significant reduction in the preventable problems that are currently plaguing our system. Let me give you an example. One of the most common illnesses in the United States is diabetes. It’s known that if a person having diabetes handles themselves in such a way as to keep their blood sugar within normal bounds, the likelihood of the complications of diabetes is dramatically reduced. Now, in our hospital right now, if you and I went for a walk through, we would probably find something in the neighborhood of 1 in 4 people having diabetes, and the reason they’re in the hospital is not necessarily for the diabetes itself but for vascular problems, eye problems, heart problems, kidney problems, surgical problems, or vascular problem related to the underlying disease. If we could get people to handle themselves as they should, despite the fact that they have diabetes, the likelihood is the number of patients with those various complications would be dramatically reduced, and the nation would save considerable money. My feeling is that if we can introduce both the most personal, responsive and sensitive healthcare system, it can have a dramatic impact on how people handle their health care problems. Think about a patient walking into a forbidding institution, with professionals they don’t know, who are not friendly or supportive, and it makes the person feel terrible; if you didn’t feel terrible before you will as you travel through this type of health care journey. In contrast, if you have people who care about you, show it, patient-sensitive, friendly, understanding, try to help you, you begin to feel like there is this coordinated, caring team on your side. There is just a dramatic difference on how the patient feels and how they perceive their own health is a key indicator on how they actually do. So for me, I see this personalization of the health care system as having two key effects: 1) getting patients more engaged so that they become better stewards of their health from the beginning, and 2) a system evolves that is personalized, coordinated, and delivers the type of care in the way the patient can best receive it. Any final thoughts regarding health care? I think that people who become nurses, medical technicians, doctors, pharmacists are in this area of work for one primary reason: it feels good to help people get better. If you can then aggregate that effort into a systemic concept of improved health delivery that is more patient focused, achieves better outcomes, and saves the nation money in the process you are going to have a lot of people feeling terrific on both sides of the table. I think this is not only an exceptionally useful deployment of the prize model but that the X PRIZE should take enormous credit for stimulating this movement. 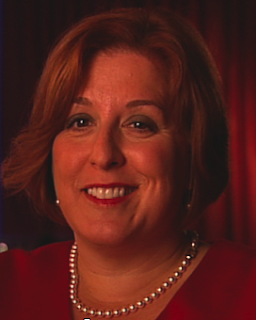 Betsy Dietz is one of the executive leaders in IBM's Global Business Services Healthcare Practice. She is passionate about improving efficiency and outcomes in healthcare and is a strong proponent of the patient centered medical home initiative. I'm a partner in IBM's Global Business Services Healthcare Practice. 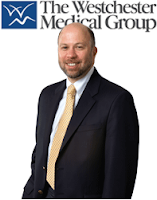 I have been the executive managing our WellPoint partnership for the last several years. I'm participating in the X-Prize initiative because I think it will drive innovation that matters in making a positive difference in the quality of people's lives. Innovation that matters is what motivates me and in fact it's one of IBM's core values. As a very large employer, what challenges does IBM face in providing healthcare? IBM certainly has a challenge in providing health care and insurance to over 300,000 people in IBM. All too often our employees receive woefully inadequate care from their physicians. The New England Journal of Medicine actually says that Americans receive only about half of the recommended evidence-based care that they require. Our employees get frustrated when they can't get timely appointments with their physicians or when their office experience feels like riding an assembly line conveyor belt. They also get frustrated when they don’t get calls back or their calls returned or when they can't get information like their lab results. We also hear from experts that as much as half of the American healthcare spend provides no benefit to Americans. We really need - we would love to have - a plan that would provide alignment between incentives and compensation to the value that our employees receive in the medical system. We've been active participants in the Patient Centered Medical Home that begins to focus on the relationships between all the entities involved in care processes -patients, physicians, other providers, payers, and plans. I can imagine that one of these teams might want to compete for the X PRIZE by leveraging a medical home strategy as their approach. Describe the competitive challenges that you face in relationship to rising medical costs? As a nation we have the highest per capita healthcare spend among developed nations. We are more than 2-3X most other countries despite our democratic, free-market economy. Unfortunately, this gap is widening which is causing American Companies to lose their competitive edge as we compete in a global economy. IBM has been a pioneer in integrating a global workforce and we are attempting to help our worldwide clients do the same. We understand the challenges of leading multinational and multicultural teams in multiple time zones. We certainly have been taking on the challenge of increasing health care cost in the United States which clearly impacts the price of IBM products and services. How does healthcare and health insurance impact the productivity of your workforce? Well I think to address the productivity challenges that we have we really need to move from a healthcare system that is reactive, that only treats people after they're ill, to one that focuses on prevention and wellbeing. We would love to work with our partners to provide coaching for our employees. We believe that we need health coaching to help our employees permanently adopt healthier lifestyle and make the changes they need in their lifestyle and behavior choices. We think we need health value coaches that will help our employees navigate the healthcare system and to find optimal value. This would also include assistance with transparency, including helping employees find high quality providers, alternative treatment modalities, and traditional consumer decision making tools in making health decisions. They need not only to select the best plans for themselves and their families but also begin to plan their health care expenses over their lifetime just like they do with other retirement or financial planning expenses. We hope this focus accelerates that transition to a healthcare system that's centered around the patient. What are the challenges that the healthcare industry faces as a whole? Despite having many fine care delivery organizations and caregivers, the US healthcare system is badly broken. I'll assert that our current system is not sustainable. We have high and rapidly rising cost. And there's no linkage between that cost and the quality of care in our system and we have nearly 100,000 people dying each a year from preventable medical errors. We have another 57,000 people dying from inadequate care. And we have almost 90,000 people a year dying from hospital-acquired infections. it must be an absolute imperative that we improve the quality of care in America. If you look at America compared to other developed countries, out of the top 30 countries we're actually 22nd in life expectancy out of 30; 28 in infant mortality; and rock bottom last in obesity. These are serious problems that have to be addressed. We also see a fourfold variances in cost for the similar or same outcomes being achieved by others. Can you imagine buying a car that is four times as expensive for the same level of function and quality as an alternative? This happens every day in healthcare because we have no idea where to turn for quality. I also think that these problems can't be solved by just turning to government intervention. Certainly can't be solved by throwing more money at it either. I think this is an "all hands on deck" urgent call! We are going to need radical innovation in order to make this happen. Again, this is where I really believe that an X PRIZE competition can create an environment for this radical transformation to occur. Given the recent economic change that we've had how do you think we should approach healthcare? The economic difficulties in the United States and the world are gonna affect possibly all aspects of our lives and certainly healthcare is no exception to that. We will continue to see the high number of Americans who are uninsured today, and those numbers could go higher. This highlights again that there has never been a greater need for innovation. We need to see, um, major reform on several fronts. We need to see individuals accept responsibility for their own health and well being and start making those healthy lifestyle changes they know they need to make. We need to enable our primary care physicians to treat the whole person and to provide the medical home that we've been talking about. And with these economic conditions above all we must find a way to deliver higher value, higher quality and safety at an affordable price. Why do you think the X PRIZE model is a good way to address those challenges? I think an X-Prize is an excellent way to address these challenges because incremental innovation is not adequate to meet the demands that we face as a nation. Historically companies have focused on innovation at the product and services level. And we have seen tremendous advances as a result: 3D imaging, advanced pharmaceuticals, new devices, etc. We have more recently seen companies innovate at the business process level. E-prescribing is a great example of that. It really streamlines the process between the patient and the provider and the plan while providing measurable gains in quality and cost containment. But today plans really need to innovate at the business model level to redefine how healthcare is provisioned and financed in this country. I think that the X-Prize is an excellent way for us to drive radical innovation forward in these revolutionary times. I believe we can create a forum for employers and providers, health plans, government leaders and individuals to come together to not only define these challenges issues but foster the innovation solutions that will help us overcome this incredibly complex issues. X PRIZE has as demonstrated history of using prizes to reward revolutionary change. What kinds of outcomes do you hope will result from this process? I am delighted to be working with key WellPoint leaders on the Healthcare X PRIZE iniative. I can envision a system wherein primary care physicians treat the whole patient and where an individual's information is collected and analyzed for insight that can power the entire ecosystem. This will require care continuity between physicians, more more aligned incentives, and compensation based on outcomes versus volume. The X PRIZE provides a framework in which we can really drive to higher quality and safety at a significantly lower price. I am confident that the Healthcare X PRIZE competition can actually accelerate our transition to a sustainable healthcare system that is centered around the patient. 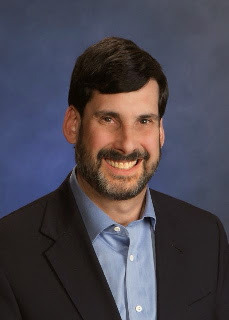 Dr. Simeon Schwartz is president and founder of The Westchester Medical Group, a 150 physician multi specialty group practice. He is a board certified hematologist and medical oncologist. After receiving his undergraduate education at the Massachusetts Institute of Technology and his Medical Degree from Yale University, he completed his residency at Cornell –New York Hospital and a fellowship at Memorial Sloan Kettering Cancer Center. Under Dr. Schwartz’ leadership, The Westchester Medical Group was an early adapter of electronic health records and has continued to use health information technology to transform the practice’s delivery system. Their unique focus on patient centered, coordinated care has led to dramatic improvements in clinical efficiency, total cost and quality measurements. Why are you excited about being involved in an X-Prize? I’m excited to be involved in the X-Prize because the United States has the finest healthcare system in the world, but it has come to a point where the costs are unsustainable, and many patients are not getting the quality and the efficiency of care that they should. In other words, we’re not maximizing the opportunity to get the best care for the largest number of people at a price that we can afford as a society. What is your general point of view on health care reform? As a result of our fee for service health care model focusing on acute episodes of care, we have created a cost prohibitive system that fails to deliver evidence based services and high quality outcomes. Reform will require transformation of our payment system with focus on rewarding quality based outcomes, provider incentives for cost control, and enhanced preventative services. Development of national metrics for both cost and quality will allow reimbursement to be tied to value. Accountable care organizations with the governance and leadership to manage significant patient populations should be the focus of a reformed delivery model. What challenges do you face with the current payment system? Some of the challenges of the current system of payment is that when the primary model is fee for service, the incentive for the physician is to provide as many services as possible. Unfortunately, many of those services are not reimbursed based on the quality of those services nor on the outcome achieved. Alternatively, some of the markets in the country pay physicians flat fees in the form of capitation. The incentive in those payment models is to minimize the number of services that are provided. A good payment model for any healthcare system would maximize the number of patients getting the right service for the right condition at the right time within the right payment structure. Currently in the United States, the variation on the number of services in different communities and the different patterns of care could not possibly be explained by the biological differences between the patients. What challenges do you face in providing care to patients? Unfortunately, we’re facing increasing challenges in providing care to our patients. Our goal is to provide coordinated, efficient, quality care, but the current system impedes that goal in many ways. An example is is that it’s hard to provide efficient care when you have to spend a lot of your staff time and money obtaining pre-certifications and pre-authorizations from insurance companies for services that are obviously needed. In addition to that, the patients frequently do not understand their own benefit plans, and physicians have to take time trying to explain to patients why this service or this drug is not covered for or by their insurance company. When you add up all of our costs for administrative activities that are largely wasted, we’re spending more than 20 percent of our revenue dealing with the cost of administering just a small portion of the healthcare system. Additional challenges that we face include the poor flow of clinical information from one group of proivders to another, even within our own community. Within our practice, which is paperless and filmless, the flow of information all takes place within our IT systems. When patients are seen by outside providers from our practice, which is common, we frequently have a great deal of difficulty getting access to that information or even sharing our own information with them. In addition, although we have a lot of desire to continue to improve our quality programs and invest in additional quality programs, the current fee for service reimbursement model really provides funding for such activities. What challenges do you face with administration, paperwork and reimbursement? The challenges of our paperwork and reimbursement from their insurance companies is largely based on the different rules that each carrier has, and in our practice setting, we deal with as many as 50 or 70 different insurance companies. In order to train our staff, our physicians and our patients to deal with that complexity, it adds a great deal of waste to the system that’s not productive. I’m very concerned that we continue to waste this much money; money which could be used toward quality programs and improved access for patients who are not insured. What are the challenges faced by the healthcare industry as a whole? Healthcare in the United States is facing many challenges besides the compensation model. In order to deliver excellent care, we need to invest in newer, more modern facilities with more equipment. The capitalization necessary to do that requires a healthcare organizations to be profitable so that they have funds to reinvest. Many of the healthcare organizations in this country at this time, particularly New York state, are not profitable. Very importantly, we need to transition care from the expensive inpatient setting to more efficient, less expensive outpatient settings. This model has been successful in many parts of the United States and in other parts of the world. However, it requires enough money to be able to close some of the older facilities that are less efficient on the inpatient side and construct new facilities. There are substantial investments necessary in information technology and healthcare analytics, which is the statistical analysis of the information so that we know precisely what is going on in terms of whether patients are achieving the quality outcomes of care that we expect. How do you think we should look at the healthcare system differently? Given the recent economic challenges, the healthcare system will be under greater stress as patients seek to find more value in healthcare services. In an economic sense, value is usually defined as quality divided by price. As you increase quality, you’re increasing the value of the service if the price remains the same. Alternatively, if you keep the quality the same and lower the price, you also increase value. What the public of the United States wants is really value driven healthcare, and the way you can increase value is both by lowering price while simultaneously improving quality. Our society would be much better off if we were more value conscious in our healthcare purchasing. Patients need access to transparent pricing, and they need meaningful data about quality so they can make informed healthcare decisions. Providers should be rewarded both on quality and on price efficiency. We’ve watched around the country the success of large retailers such as Wal-Mart with their value based pricing. Their concept was that the consumer, given the opportunity, would be inclined to purchase goods and services where they could buy the same item at a lower cost. Imagine that you have a standard item like a container of Tide detergent. The consumer can go to several stores and see what that price is. They should be able to do the same in healthcare. They should be able to know what the standard product is, and they should be able to know what their costs are for that product. It’s easy to assume that the consumer will not make the right decision, but frequently in healthcare, the consumer has no information that’s useful to make the right decision. Another notion is the idea of the coordination and organization of care. The United States has a large number of medical practices with one or two physicians. It is analogous to the situation before large scale retailers came to the United States, and some of my friends pejoratively refer to this as the "Walmart-ization" of medicine. But one of the advantages that we’ve seen in many industries, whether it be package delivery like UPS or FedEx or in the auto industry and other service industries, is that the consolidation of the number of players in the market results in improvements of efficiency. In healthcare, we have been impressed by the opportunities for consolidation, for improvements of information systems, for improvements of efficiency, for coordination of service, and part of the redesign of healthcare really should encourage the further consolidation of medicine, not to the level of monopolies and cartels but so there’s meaningful competitions of organizations that are large enough to be adequately funded and capitalized to be effective competitors. Why do you think an X PRIZE is a good way to address those challenges? I believe that a prize is a good way to address some of the challenges in the healthcare payment system because of the complexity of the system. When you have a system that is in excess of 2 trillion dollars a year, any change causes a large number of winners and losers. In our politically charged world, both of those parties will lobby aggressively both Congress and companies and other entities to make sure that they are not economically disadvantaged by the changes. The only meaningful way that we will achieve fundamental change is to reach a consensus largely supported by the public for meaningful change. I believe that the prize generates a great deal of interest in the redesign. In this political season where much of the conversation has been about payment for the uninsured, and very little of the conversation has been about the redesign of our delivery system, we need to refocus the public on the redesign of our delivery system and on improving the value in healthcare. What outcomes would you like to see as part of the Healthcare X PRIZE? There are several outcomes that I’d like to see from this process. First of all, I’d like to see agreement on the metrics of quality care so that there can be a standard benchmark. A lot of progress has been made with the specialty to societies defining what is optimal care. In medicine, there’s still an art, and not everything can be put in the form of a measurement, but a great deal of medicine does lend itself to measurements, and performance and outcomes can be determined for many of our common illnesses and for many of the parameters of good, preventive primary care. I believe that the country will be better off if we’re able to have a value based compensation system. I believe providers should be rewarded for their quality and their efficiency, not for their number of services. And finally, I believe if this project is successful, the United States will continue to have the finest healthcare system in the world. Health Innovators Series: Newt Gingrich on Healthcare Reform. Newt Gingrich is a transformative leader who needs no introduction. As the former Speaker of the House, he led the Republican "Contract with America" efforts in the mid-1990's. Since leaving public service, he has continued to speak, to write, and to engage in the global politics of transformation. He is the founder of the Center for Health Transformation, which is a nationwide collaboration of leaders trying to develop a new, improved, 21st century, personal, intelligent health system designed to deliver the best health and greatest access to a system that results in better quality, better outcomes and lower costs. What are the challenges faced in the health care system as a whole? I think the system faces two or three really large challenges in addition to access for all of the uninsured to have insurance. I think they face the challenge of moving new ideas rapidly, because today it takes up to seventeen years to get a new best idea to the average doctor. I think they have a challenge of transparency, making sure that we have all the information electronics so that we know what's happening and who's doing well, who's not doing well. I think they have a challenge of how we pay for things, because in many ways we overpay for acute care and we underpay for preventive care and wellness which results in people getting very sick before we take care of them. There are significant improvements that can be made that would lead to better health outcomes with longer, more active lives at lower cost. What challenges do you think the federal government faces in particularly in health care? Well, the federal government faces enormous challenges. First, as the largest single payer it is currently paying ~45 percent of the total cost of health care. As the federal budget collapses under the weight of all the various problems we're seeing in Washington, it gets harder and harder to pay for adequate health care. Second, the federal government is a slow, cumbersome, bureaucratic, and paper-based system. This makes it incredibly hard to keep up with fraud, and we see a stunning amount of this in the Medicare and Medicaid prorams in particular. One estimate in New York State alone estimates that 10 percent of the money spent is on fraud. So instead of the tax dollar going to help the poor, it's going, frankly, to help crooks. The federal government also has a challenge because it inherently is not innovative. It is very, very hard for a big system like the federal government which is designed to be subject to the political process to lead out in making big breakthroughs. As a result, innovation and the big bold ideas almost always come from the private sector. As they prove themselves out, the federal government can then adopt them to great effect. How would you compare the U.S. health care system versus that of other developed nations? I think the United States does a much better job on very sophisticated acute care. This is why you see wealthy people from all over the world come to the U.S. when they have a serious illness. But we don't do a very good job of public health. We don't do a very good job of preventive care, and we certainly don't do a very good job of early testing and wellness. You could argue, as some analysts have, that the ideal model would be to have a European approach to taking care of people before they're sick, and then an American approach to taking care of them once they're really sick. What challenges does your organization face in solving the health care issues? Well, we actually face three big challenges, and they're all three huge mountains to climb. The first is that the Center for Health Transformation is attempting to reach out to try to find the new best ideas. This means that you have do a lot of scouting and a lot of listening. You have to go all over the country learning about health care and health services innovations. Second, as we try to figure out how to popularize and disseminate these innovations so that the average American can see the case studies to know that is the type of health care system they want. Third, we try to figure out how do you explain these complicated ideas to elected and bureaucratic officials so that they can understand them given the limitations they have of time, interest, and background into these topics. At our best, when we do all three of those, we can achieve very significant change very rapidly. However, if any one of the three breaks down, if we can't find the right idea, if we can't explain it clearly, or if we can't figure out how to implement it, then we struggle to get it done. Do you think using incentives like prize competitions can help innovation and why? Well, I think historically incentives are very powerful. As you very well know, Charles Lindberg flew the Atlantic in 1927 in order to win a prize which had been posted since 1919. The purse was approximately $25,000, which translates to about a half million dollars today adjusting for inflation. He was just one of a dozen or so people competing for this. So the original breakthrough in long distance flight was a response to a prize. The original breakthrough in navigation at sea was the response to a prize. And we have since the original breakthrough in personal space flight, as demonstrated by the Ansari X PRIZE, was also a response to a prize. The power of prizes is two-fold. First, they arouse the imagination. You get young graduate students and young entrepreneurs and people in their basement or their garage, and they go wow, I can win this prize. It is much the same drive that you see in the American Idol phenomenon. People begin to show up and suddenly compete because they could be somebody; they could win something. The other thing that makes prizes very interesting is you don't have to pass through a series of hurdles defined by professionals or current state of the art. If you have the idea and it works, it doesn't matter how much education you have, who approved your approach, or who is your sponsor you can still win. Prizes have the power to arouse creativity and to generate energy that you don’t get in a more structured process of peer-reviewed research. Why are innovations so important to America? Innovation is the key to the future of the human race and it always has been. From the perspective of the person who figured out how to take lightning and turn it into the sustainable fire, which the Greeks wrote about in mythology, to the first person who figured out that a wheel was a lot better way to pull something (which never got discovered in the New World by the way), to the person who figured out that if you harness the power of a horse you could plow - our civilization has always benefited from innovation. Every one of these innovations for thousands of years have made us who we are. The countries which innovate the most effectively are the wealthiest, the strongest, the safest, and the healthiest. And innovation in that sense has been the key to the progress of the human race for all of recorded history. It is still the key, and to the degree America is the most innovative country in the world, it has also been the most successful. So what outcomes do you hope result from this process? Well, let me say first of all, I was thrilled when we got the phone call and Well Point Anthem announced that they were going to undertake a real prize. I was particularly pleased to see that this was not just a reward for a nice paper, but they were actually were going to finance running the pilot projects in the field to see what happens. And I thought this is one of the boldest breakthroughs in corporate leadership that I've seen in a long time. I think it has the potential, which we will not realize until its done, to really make an transformative impact. But who knows, maybe all five will fail but I believe that you will see two or three that will really lead to some dramatic improvements in care. Regardless of the outcome, we know we are going to generate a whole new generation of next level conversations. I also believe you are going to get thousands of people talking among themselves the potential of the Healthcare X-Prize and Well Point Anthem to lead out in this change by fundamentally rethinking the financing and payment of health care. And that is such a profound application of the prize concept to social public policy that I think it's a terrific breakthrough. Why should people and companies support the prize model? Well, I think first of all you have to decide two big facts about your company or if you're a successful, wealthy person, about yourself. The first is, as a citizen, whether a corporate citizen or an individual citizen, do you really want to live in a better country? Do you want to help create the future. If God has been good to you and America's been good to you, do you feel a little bit of a moral obligation to return that, to help the next generation inherit a better world than the one which you lived in? The second reason would be purely self-interest. From the standpoint of an insurance company, if we could find a dramatically better method of payment and we could align the incentives for health, we Would suddenly have a healthier population that needed less acute care, that lived longer, that had active healthy aging. We might take 20 or 30 percent out of the cost of health care. That makes life dramatically easier for the individual, for the doctor, for the hospital, for the payer, including the government, and for the insurance company that's managing the system. So there's a certain amount of enlightened self-interest as well as a certain amount of good citizenship. And if you can get the two to come together, then you have a real incentive for a prize program. Anything else you want to add that we did not cover? I just want to add that the leadership at Well Point Anthem is truly taking a bold, courageous, and intelligent step in this which I hope begins to set a pattern for the entire country. I believe this model has the potential to blossom over the next 20 years and I really hope the Healthcare X PRIZE can be looked upon as the catalyst that got the process going. If one or more of these five community experiments work out in the real world, you're gonna be able to look back and say we helped shape the right incentives for the right health system and therefore we helped shape the future of America and probably by adoption around the world of the entire human race. This is truly one of the best examples of corporate citizenship I've seen in a very long time. Chris Parks, the always entertaining CEO of Change:Healthcare, shares his vision of healthcare consumerism straight from his worldwide headquarters in NashVegas. Can you tell us a little about your background and what your company does? I’m focusing on helping people save money and make better health care decisions based on information. I began as an exercise physiologist who worked at Healthways. Later, I had the opportunity to work at HCA when Rick Scott was there. I left to work with Kaiser focusing in on capitated health plans. I next tried my hand at a small biotech company called Neopharma which focused on supply chain management. This is when both of my parents became ill and after watching both of them pass away, I was left managing over ~$25K in debt. I could not figure out where, when, and from whom I was being charged this money. It was actually the trigger that helped to found our company. How do you approach the problem of reducing cost while improving quality? If you make health information a commodity and present it in an understandable and actionable format to individuals, they will make good decisions as long as their wallets are impacted. Most individuals will not be able to understand all the clinical mumbo jumbo and will default to the doctors expertise; however, they almost universally understand financial choices. We see this as individuals will often choose not to undergo tests or procedures that have unknown outcomes when they are spending their own money. We have found the challenge of defining quality is that it is subjective and constantly changing depending on the latest study or interpretation. We believe that the more time you spend defining and canonizing quality you will lock into predefined notions of quality that might not be widely applicable given everyone’s different value systems. As a result, we have chosen to focus on the cost side of the equation and let people make their own definition of quality. Can you share some examples of how you guys do this? We have a company of 1,000 employees in the back hills of KY - all blue-collar, tobacco-chewing workers without very good connectivity. Yet 95% have adopted our online tools, even though many required going over to their cousin’s house to help them figure it out. Our tools are useful to them as they save real money by reviewing their own and their colleagues health purchasing experience. We solve a real need that is tangible. On the opposite end of the curve, what you can’t do is tell people they are now responsible for the first $5,000 dollars and then leave them to their own devices. How do they know how to allocate their money most efficiently? We can help them know that their wellness check, colonoscopy, and other preventive services has an excellent return on investment. Not only do we help them understand this but we also help remove barriers for them to access this information or benefit design problems where they are disincented to obtain these services. I laugh at the co-pay strategy. A $50 physician office visit is still a buffet card to an all you can eat health services menu. We need to get that to $500 or $5000 to be able to see true consumerism take over. You work alot with consumers, what is the pain they are feeling? They are utterly frustrated, confused, and just plain mad about how difficult it is to interact with the health care system. We are trying every day to tackle some of the biggest problems they face - primarily around creating patient friendly billing information. This goes on every day in every city where patients are given bills that make no sense, are not tied to anything they understand, and don’t provide a way for them to understand whether they received good value or not. We tackle the touch points for patients/employees by making this type of information easy to understand, relevant, and actionable. If I need an abacus and a spreadsheet and late night seance to figure out my bill, there is a problem. We chose to jump into the middle of the messiness by simplifying and communicating more effectively than a dead EOB. We soon found that people don’t want to put any effort into getting organized as it is just too much work. But tap into their wallet, and then are burning the candle on both ends to save a quarter. Our company found that employers are nice aggregators of consumers and health information. We determined that we could create a tool, which we call the Healthcare Consumerism Index, to help our employers and their employees understand what they were paying for and getting from their health care spend. It has an immediate impact on helping everyone understand which providers, which pharmacies, and which programs are actually providing good value. Change:Healthcare is designed to be a platform and we’ve integrated this into a network of our users. So everyone who is on the platform can benefit from what the others on the platform share about pricing, experience, and related information. This information allows employers to come up with better benefit design, share information more fluidly, and ultimately create a much better user experience. Its fast becoming an ecosystem to capture and catalog health value. How would this platform help someone with obesity to manage their health more effectively? Well, we don’t approach the problem like the disease management companies do. We tackle the behavioral problem directly through the wallet. It is our contention that some people are going to be fat and smoke and not manage their diabetes. They are free to do that but they also need to understand that there is a consequence to this decision - typically in the form of higher co-pays or differential premiums. People will only change when they want to . . . but we provide some tools that provide some financial motivation to do so. We help provide support to the rest of the care team who is actually doing the heavy lifting - the physicians, nurses, dieticians, spouses, and families - by aggregating all the information in a way that allows them to see the consequences of their behavior. The reality is that it requires a series of carrots and sticks, crisis and fear, and ultimate internal motivation to make the changes required. We have found some success in using financial incentives to spur on the internal motivation (and the external influence in employer settings). What would you recommend as the key initiatives to reform our current health system? I have heard alot of talk about blowing up our current health system and moving to something completely new. While I like big explosions and the feeling of anarchy it engenders, I am actually an advocate of working off the current system. What we need to do is focus on making it much better than it is right now by leveraging what is currently useful to employers and consumers. A key part of that is make make health plan data portable in a format that is “mashable” by anyone that the consumer designates. There is no value in obfuscating the pricing or outcomes or information anymore - that model is appropriately dead. People need to be able to know the prices, compare quality between physicians, and then make a decision that is relevant to them. Claims data is a commodity. Negotiated contracts are a commodity. It is the consumer service experience that trumps all and matters most. We can dramatically improve the consumer experience by empowering them with information that allows them to make their own health choices. What are some health care innovations that believe are ready for prime time? I think there are many things that have promise - one that I personally love is the notion of the medical home. The concept has been around for a very long time but now that the employers are coming to the table to participate with the payers I see this gaining real traction. It’s really quite simple if you think about it - a physician is responsible for a population of patients and they work together using new tools and technology to achieve the best shared outcomes. I would also love to see more innovation around behavior change (short term costs), insight (long term cost), and opinions (which drive adoption). Alot of this is related to the personalization including both delivery but also the information of the care experience. Most people want alternatives with choices and consequences and the freedom to make their own decisions. I also think there are alot of new online and interactive widgets that if brought together in the right way would be powerful contributors and great innovations. Still really like the idea of the iPhone as the platform and everyone designing on the platform. Where do you think the X PRIZE can serve as a catalyst for innovation? I would love to see teams focus on improving how we engage, communicate, and connect with each other. I want to see health care transformed and reconfigured with a human face, a human voice, and the human touch that everyone can comprehend. I would also love to see platforms and networks created that make it easier for me to do what I am trying to do. What is the platform that can serve as the gateway to communication and collaboration? I would love to see teams push the envelop on this. I believe the X PRIZE could take the current system and create wrap around tools, presentation layers, simplicity, and a better user experience. I would like to know if my doctor is any good; I want a market place where I can get the information I want when I want it; I want grandma-friendly, actionable, relevant, and insightful information that someone has surfaced from all the data that is floating around out there about me. I want someone to simplify, explain, and interpret my health care experience. You should be talking to the consumers of the system - talk to the people who are the most frustrated by what is going on. See what confuses them, what is difficult, and what they would like to see fixed. I think this perspective is the most relevant.